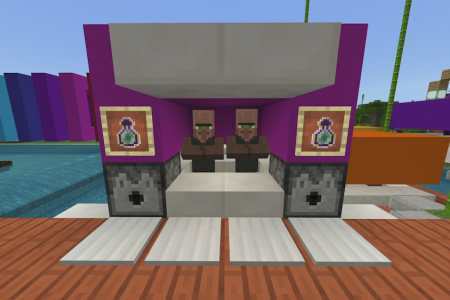 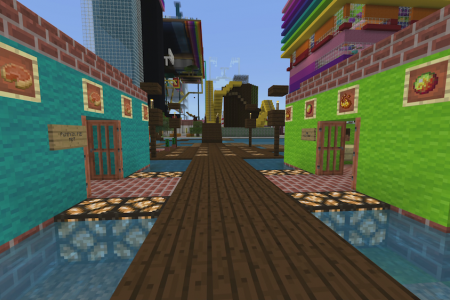 Minecraft Merchant shops includes designs that utilize villagers like the merchants that they are in a cute, fun design. 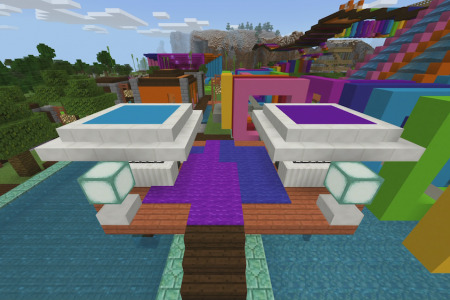 You can use most of these designs in survival and creative. 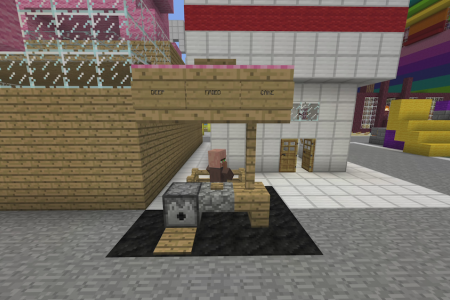 Some are better off used in creative where monsters can’t get at your villagers. 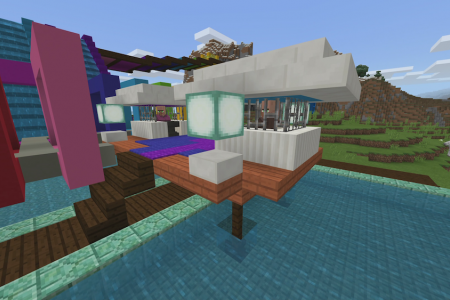 In most of my designs, which are created in creative, you are trapping the villager in one spot. 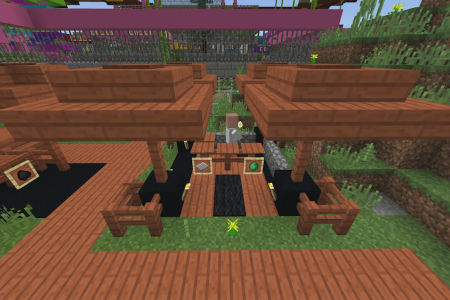 You place blocks around them so they are stuck in one position and even bad mobs can’t easily get at them. 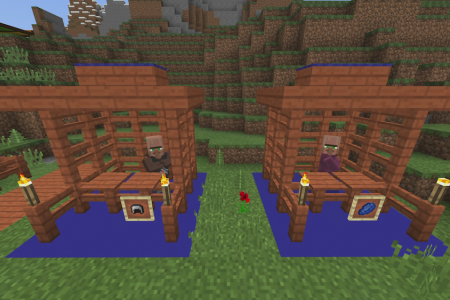 Most of the time it works to keep the villagers safe, easily available to trade, and looking super cute in their mini hut looking the part of the true merchants that are. 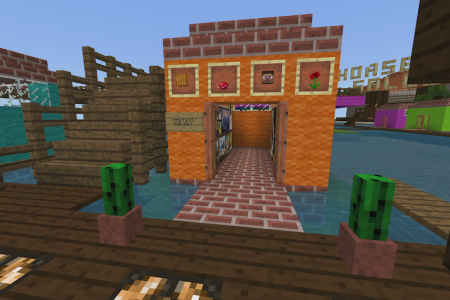 I hope to expand on this idea, like all of my ideas, so check the gallery after some time in case I add new merchant designs to it. 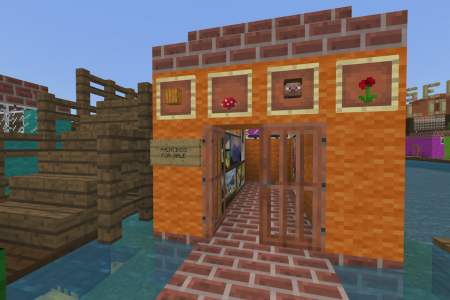 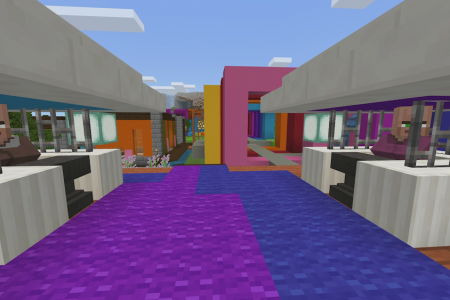 Most Minecraft Merchant Shop designs are easy enough to recreate just get a chance to look at the photo. 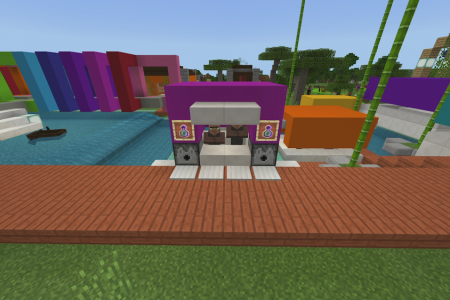 You can see there aren’t any fancy materials just the use of slabs to hold a Merchant in place but still make them accessible. 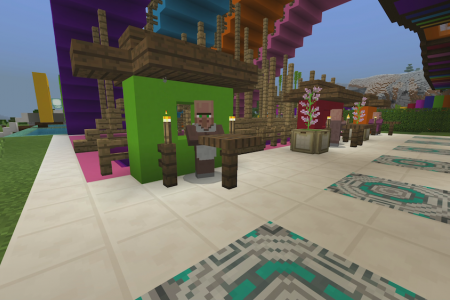 It’s a win win and if you are playing in survival the biggest challenge becomes getting a villager into the “booth”. 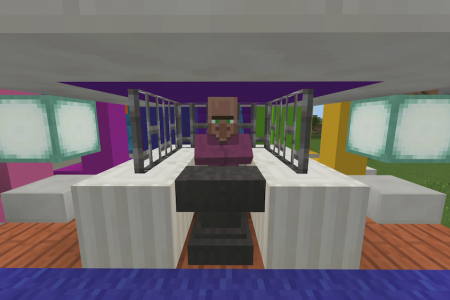 I recommend just building around a villager you can quickly lock into place wherever. 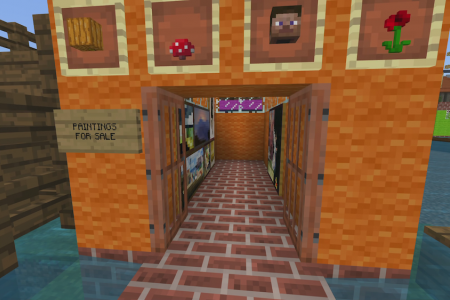 This way you can just build the Minecraft Merchant Shop around who you’ve trapped. 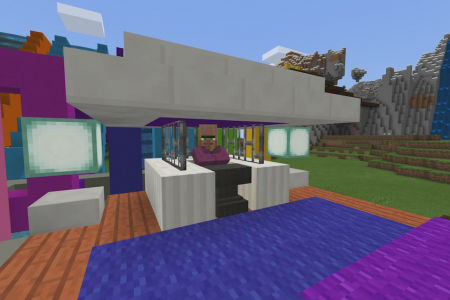 The Minecraft X Shaped House is an easy build and you have tons of options to create a variety of rooms, and hopefully my gallery gives you lots of inspiration. 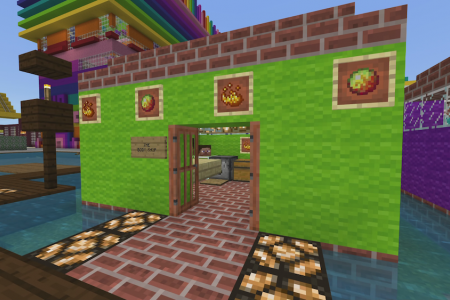 Check out my Minecraft sushi bar and get some inspiration. 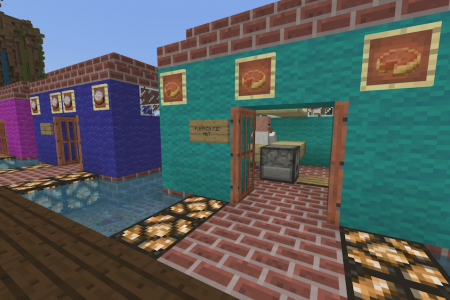 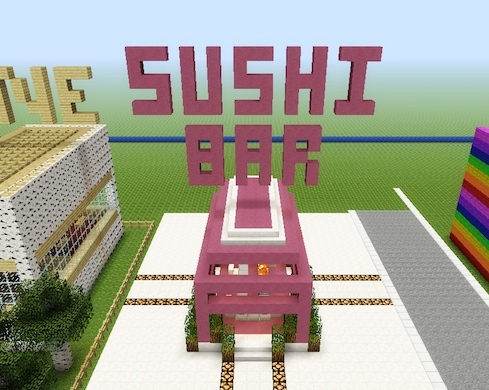 With all of the fish options in Minecraft a sushi bar is a must have. 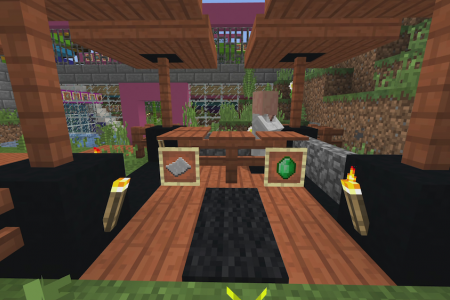 A Minecraft food truck looks awesome and its easy to build and I show you how in my tutorial. 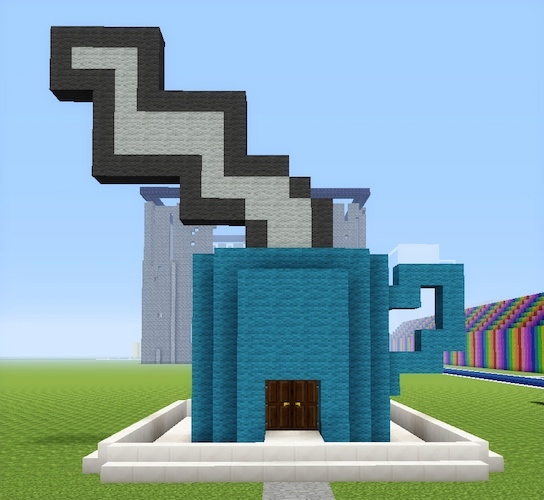 My Minecraft Coffee Shop is in the shape of a cup and is super easy to recreate. 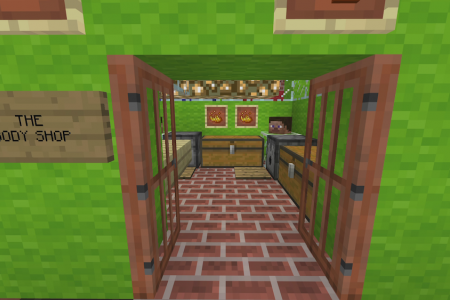 It's cute and functional.